Are you feeling the drug’s side effects? Generating a constant flow of (occasionally wacky) ideas? Experimenting with new media and new techniques? Expressing yourself in innovative new ways? Changing up the dance moves? Appearing mildly threatening to color-inside-the-lines coworkers? Alarming your staid friends and neighbors? Getting kudos from your think-outside-the-box colleagues? Feeling self-satisfied with your clever results? Anxious to have another go at it? Actually I would agree with you – but the heady high of wildly abandoning oneself to these moments can get you into trouble. It’s the reckless abandon when things progress too far – and suddenly the reality of bills unpaid, mistrust from others who are crucial to your life, etc. has brought you to an crossroads — abandon the old life and make the most of it – or cautiously return and try to sort out the mess that it has become; the key is finding the balance. There is nothing inherently wrong in letting loose and finding the inspiration that propels one to new heights and perhaps enhances one’s life, but usually for most, there has to be a dash of temperance, because it’s not often that the full escape leads to a new life filled with complete support and understanding of a new crowd who “get it” and are willing to help you along your new journey. Yes, as with everything in life, balance is essential. 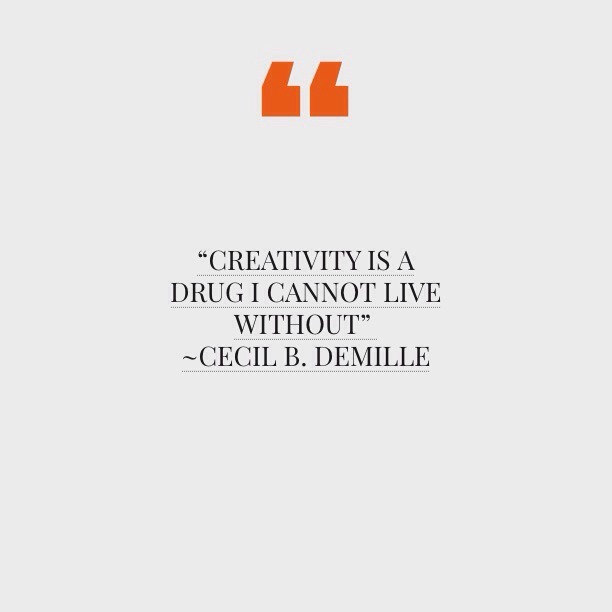 But for most people, I think adding creativity is the answer, not subtracting it. Thanks for your feedback, Patricia. I agree Jann — most have forgotten what it means to “play” and explore, without restraint or constrictions or restrictions – there is always that feeling of “I shouldn’t be doing this .. it’s silly … ridiculous … etc.” — which is unfortunate that we have been so brainwashed and conditioned into forgetting the essentials to a healthy, happy and fulfilling life. Have a great day – and excellent posts today.